As a top think tank for China's central leadership, the Counselors' Office of the State Council, has been mysterious to the public. The counselors, mostly non-Communist Party members, provide a wide spectrum of independent advice through political consultations and democratic supervision. Surprise, honor and pressure were what Ke Jinhua felt when she was informed in May of being recruited by the Counselors' Office of the State Council (COSC), a top think tank that can directly conduct political consultations for the central government. "I felt pressed as I had no idea how the office specifically works and I was uncertain if I could fulfill the commitment," Ke, 65, a chief editor with the Social Sciences in China Press, told the Global Times on Monday at her office in Beijing. "But the choice says that the Party and government trust me. I'm now confident I will accomplish the mission. After all, I have been a political adviser for more than 10 years," said Ke, who has no party affiliation. Since 2003, she has been a member of the top political advisory body, the Chinese People's Political Consultative Conference, and has submitted many proposals, on issues such as gender equity, domestic violence and assisting parents who lost their only child. On August 17, she, together with five others, received an appointment letter from Chinese Premier Li Keqiang to be the State Council's counselor at the Zhongnanhai leadership compound, becoming the office's 61st counselor. It is one of a few think thanks serving the central leadership. The COSC is a bit different from others because its employment contract was personally presented by the premier. It has an additional mission to unite non-Party members. Some 25 of the 61 counselors are members of the Communist Party of China (CPC). The others are either members of other parties or people with no party affiliation. Ke revealed that to strengthen alliances across society, the office will further increase the number of non-Party members. From government organs, public institutions, academies and State-owned enterprises, the counselors have expertise ranging across finance, agriculture, population control and international relations. But their office has been a mystery to the public because its operation was scarcely disclosed. The Global Times' interview request to the office was turned down. The office, a European-style building on Qianmen East Street, is just 300 meters away from Tiananmen Square and a few minutes' bus ride to Zhongnanhai, the headquarters of the CPC Central Committee and the State Council. Under guidance from Mao Zedong to get input from all different walks of life, the office was established in November 1949 and 32 people were selected by then premier Zhou Enlai, including 31 renowned figures from democratic parties, become its first members, according to Upolitics, a WeChat public account run by Beijing Youth Daily. At first, tenure was granted for life. To prevent it from becoming a bureau to send retired officials, the government changed it to a contract system in 1988. In 2010, the Regulations on the Work of Government Counselors were adopted, stipulating that the counselor shall be no younger than 55 and no older than 65 when they are first recruited, and the term is renewed every five years. In lower-level governments, there are also comparable counselors' offices. Official figures show that there are about 1,000 counselors nationwide. Ma Li quit as director of the China Population and Development Research Center (CPDRC) when she was recruited by the COSC in 2009. Now a counselor of the State Council for seven years, she is proud of the job. "The responsibility is heavy. But it's also a great honor to work with the office," Ma told the Global Times. She doesn't think serving as a counselor is a part-time job. "Once you are recruited, you have to be dedicated to it," she said. Counselors needn't go to the office regularly except occasional meetings. Although Ma is still officially employed by her former employer, she said she spends most of her time understanding the latest issues and problems facing the government, conducting field investigations and providing advice to officials. In addition to offering revision advice to drafts of various government regulations and policies, the counselors also take on research topics assigned by the State Council and other government agencies in Beijing, as well as projects they pursue themselves. Unlike other think tanks, the COSC has assembled leading experts from different sectors who work together to solve big multifaceted issues. Currently, the major issues for China are structural economic reform and pulling the country out of its economic slump. The counselors can provide their suggestions from different aspects, she said. Ke noted there is a big difference between a government counselor and a political advisor. This month, the newly recruited counselors from across the nation attended a week-long seminar ahead of the Mid-Autumn Festival in Kunming, Southwest China's Yunnan Province. Ke said the seminar has helped her learn how to do the job. "The requirement for the proposals is much higher [than for political advisors]. The topic shall be one that the State Council and the CPC Central Committee are concerned with," Ke said, noting the problems shall be vital and urgent for the country. "The content of the report also needs to be of high quality. The topic should be new and valuable, along with the viewpoints and solutions, and the solutions should be feasible," she noted. According to Ma, the proposals and reports will be put on a shelf at the office. Officers from the State Council, ministries or commissions go to the office to send and fetch documents every day. "Sometimes, the suggestions which are written in the morning will appear on the desk of the premier in the afternoon," Zhao Derun, a press worker of the COSC, was quoted as saying by the overseas edition of People's Daily in a 2011 report. In the courtyard of the COSC, there was an Audi car given as a present by Germany to then Premier Wen Jiabao, according to the report. In 2005, Wen re-gifted it to the COSC and the car was ready to be used to send urgent suggestions to central leaders, said the report. Though low profile, the counselors are behind the adoption of many major policies and regulations. In 1982, when discussing an amendment to the Constitutional Law, the counselors gathered for three weeks at Beidaihe, a summer resort in Hebei Province where many political decisions affecting China were made, and eventually suggested 50 revisions. Ma said that many recommendations she wrote or co-authored have been adopted. She is most proud of her suggestion that rural collectively owned lands enter the market, which was included in the Communiqué of the Third Plenary Session of the 18th Central Committee of the CPC. According to Ma, there's no additional payment for the job of counselors. Ke said it is the sense of honor, responsibility and mission, rather than anything else, that makes them willing to do the job. "I like to do it, as long as it will help with the progress of our society and country," Ke said. Officially taking up the post after just one month, she started to write a research paper on young people's entrepreneurship. She has already contacted some young people and some start-up agencies, and plans to do in-depth interviews with them. People like Ke and Ma serve as great examples. But it seems that many local offices have counselors that do a poor job. Most members are retired or soon-to-be retired officials. Some governments have tried to make changes. 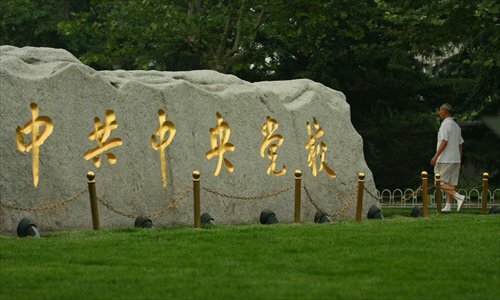 In 2012, the Wuhan government publicly recruited counselors from ordinary residents in the city for the first time. Early this year, Chengdu followed Wuhan's example. The threshold the government gave for the applicants was even lower. Applicants did not need to be officials, legislators, political advisors, Party members, or have a certain level of education. Shi Lan is one of the three councilors the Wuhan government openly recruited from grass-roots residents after the selection process. "The job is challenging and I have to spend extra effort in it," Shi, a staff member of the city's tourism quality supervision bureau, told the Global Times. At the end of each year, there are performance evaluations and ratings based on the suggestions and recommendations they have made, Shi said. Because of profiles in the media, Shi and two other counselors became famous among local people. In addition to Shi's own research, complaints from some residents who approached him are a major source for his proposals to government officials. In 2015, he found that the buses along the subway lines in the city closed much earlier than the last train and proposed the government keep the buses running longer. "I'm happy that the government has adopted it and the operation time of some buses has already been adjusted," Shi said, adding that the change not only brings convenience to residents, but also gave residents more time to shop and contribute to the economy. 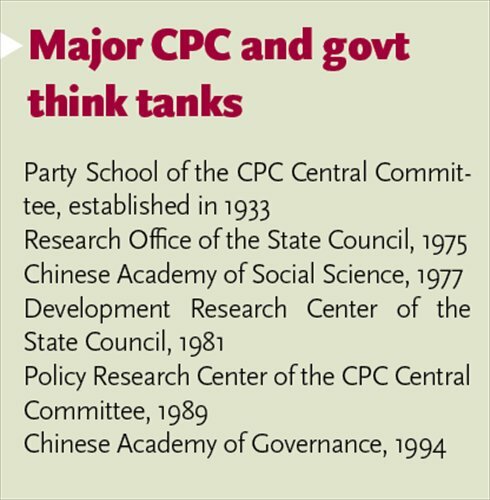 Wang Wen, executive dean of the Chongyang Institute for Financial Studies at Renmin University of China, believes that the COSC, together with other government-backed think tanks such as the Chinese Academy of Social Sciences, has lots of advantages compared to their non-government counterparts. "They have trust of the decision makers. They can easily access data and other information. In addition, they are more attractive to talented candidates," Wang told the Global Times. But they have their defects. Their mechanism is inflexible and tends to be bureaucratic, and their research might not be independent enough, he noted. Shi suggested breaking geographical barriers and promoting cooperation and exchanges of the counselors in different places and levels. "For example, to build the Yangtze River economic belt, the counselor's offices of major cities along the river can join up to draft an action plan," he said. Wang suggested learning from foreign experiences to industrialize and professionalize think tanks. "We shouldn't allow secure jobs," he said.